It was in 1981 when the first Guess store was opened up in Beverly Hills area and soon it started opening stores in other regions of the world. Majority of the Guess stores function in parts of Canada and United States of America. The company also has distributors and licenses in South Africa, Middle East, Asia, Latin America, Australia, Europe etc. Presently it operates at 484 locations. Since its inception in the year 1981 and till date the company has employed more than 15,000 employees spread across different nations. The advertisement campaigns from the company helped people to know about the brand on a global level, and thus, within very short span, Guess became a popular brand of clothing and watches among the high income and fashion savvy consumers. 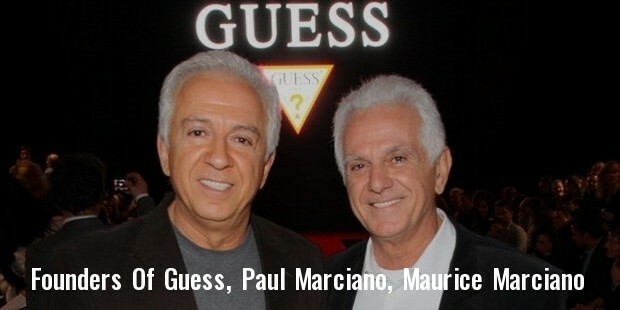 Apart from the collection of men’s and women’s apparel, Guess also began the kids’ collection in 1984 with the name “Baby Guess”. The company also began with the Home Brand collection with premium quality home products like bed sheets, pillow covers, cushions and towels etc. 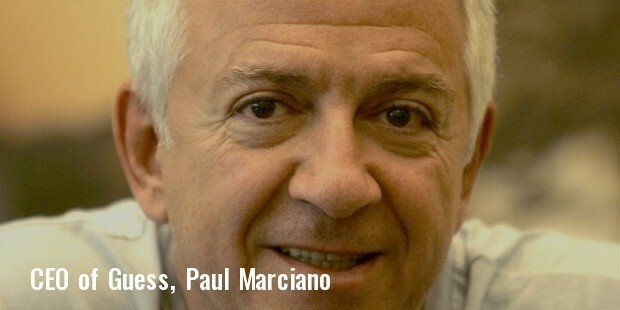 It also expanded its exclusive female line of clothing with the name “Marciano”. The name Guess itself speaks a lot about this upscale brand of clothing and other fashion accessories. The company is considered as one of the first to come up with branded jeans wear for men and women. There is a separate collection for the kids as well. The eye catching designs of the Guess products and the world class quality have always been the trademarks of the company. This is a globally recognized company and top grade fashion models and celebrities from the entertainment and sports world are loyalists of the brand. The run-way inspired designs and styles have always attracted the consumers the most about the brand. 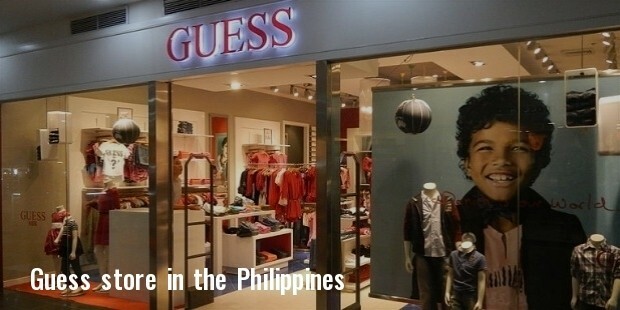 Guess has come up with comprehensive programs to assure compliance with the employment and labor laws. The company doesn’t support child labor and slavery in any form and also prohibits human trafficking. The company is also know to maintain a safe and secure work environment that is applicable not only to the employees but to the ecology as a whole. Supervisors are appointed to evaluate the entire operations of the company. From the very initial days of the inception Guess has been successful in grabbing the attention of the customers. The high quality of the products has always been the USP of the company and this is one prime aspect that has taken the brand as a whole to the next level. The hard work and dedication of the team members of the company are also responsible for taking Guess at such a high position in the market.